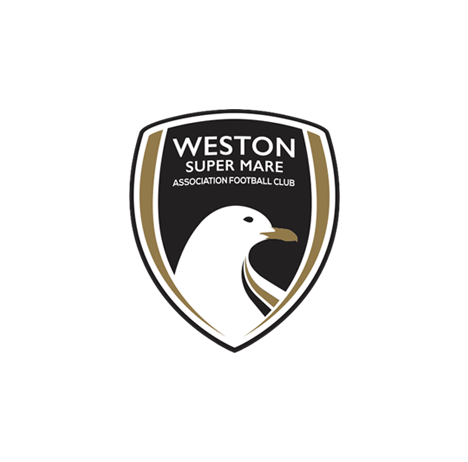 Despite going down to ten men in the second half, Weston lifted themselves off of bottom with a 1 – 3 win away to Chippenham. Weston took an early lead when the ball went out for an away throw inside the Chippenham half. Alex Byrne’s throw to Gethyn Hill was volleyed into the box by the forward, and the ball landed perfectly on Marlon Jackson’s head to nod in past Bluebirds keeper Bradley House and break the deadlock. Luke Purnell got down well to deny a Karnell Chambers drive, with Jason Pope on hand to clear, before Weston got a second. 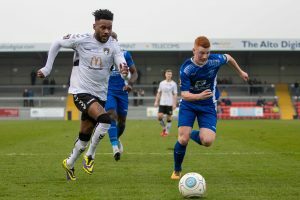 A loose ball was picked up by Jennison Myrie-Williams, driving towards the heart of the Chippenham defence. Myrie-Williams had Jackson to his left but opted for Naby Diallo on his right, and the weight of pass was perfect. Diallo had the simple task of drilling the ball into the roof of the net to double Weston’s advantage. 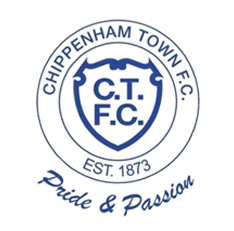 Chippenham pulled a goal back minutes later when Nick McCootie ran down the left side of the pitch and his shot was pushed away by Purnell. However, Nat Jarvis was on hand to tap the ball into the back of the net to pull one back for the hosts. After the interval, Callum Gunner’s effort was pushed away by Purnell, with Josh Smile firing wide from outside the area a couple of minutes after. Michael Jones put the ball over the bar from a good position when Chippenham pressed and earnt a corner, before Weston were reduced to ten men. Just inside the Chippenham half, Diallo went in strongly on Jones, incensing the home bench and team. The ensuing fracas between all 22 players ended up with Diallo being shown a straight red card and Jackson receiving a yellow card for his part in the incident. 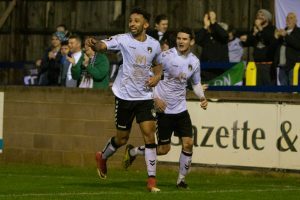 However, being one man light didn’t stop Weston from putting the game to bed 10 minutes from time, when George Nurse’s free-kick found an unmarked Hill in the centre, and he had the easy task of nodding past House. 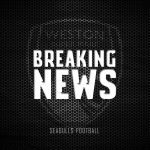 Purnell was forced into a full stretch save by Dean Evans from the edge of the area as Chippenham piled on the pressure, but throughout added time, Weston controlled the game well and stayed composed at the back, seeing the game out. 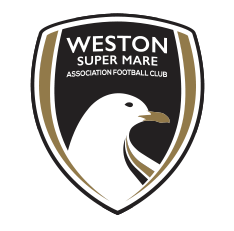 Weston XI: Purnell, Byrne, Nurse, Cane (C), Pope, Bower, Lee, Diallo (S/O 74), Jackson (Lucas 87), Myrie-Williams (Swallow 90+3), Hill (Llewellyn 90+6). 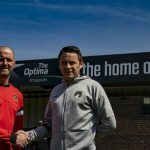 Unused substitutes: McGrory, Phipps. MOTM: Gethyn Hill – The team played excellently, but Geth takes MOTM for this one as his link-up play, defensive work, as well as his goal and assist, was first class.